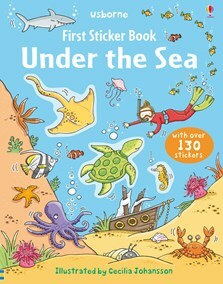 There is an amazing array of sea creatures to discover in this lively sticker book. With over 130 stickers including tiny sea snails, a huge humpback whale, an adorable turtle and a friendly octopus. Children will love finding a home for each creature in scenes including ”Freezing Waters”, ”Underwater Forest”, and “The Shipwreck”.